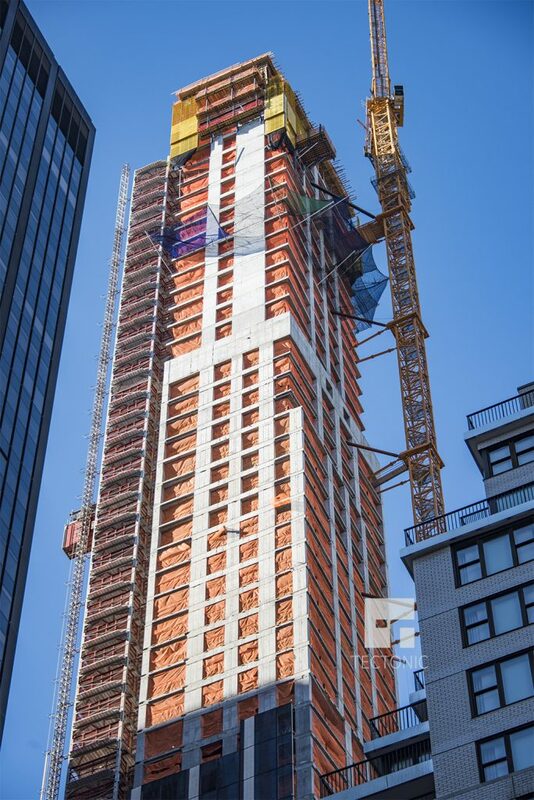 The last time YIMBY checked in on Ceruzzi Properties’ 138 East 50th Street in late August, the residential tower had just climbed past its 40th floor. 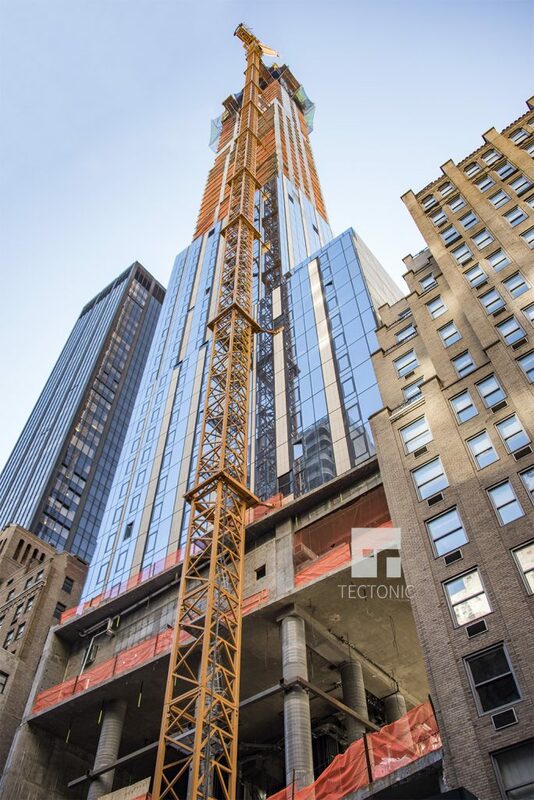 Now, construction appears to have reached the parapet, 800 feet and 63 floors above the Midtown streets below, as seen in the latest update from Tectonic. 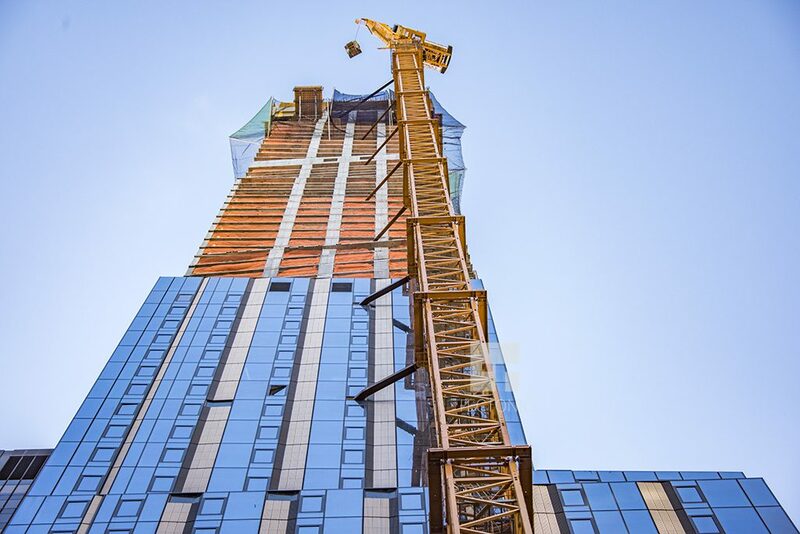 Pelli Clarke Pelli is the design architect, and YIMBY first reported on Ceruzzi’s plans back in September of 2015, when we revealed the first renderings for the tower. The site had originally been intended for a hotel development, with permits first filed by Extell in June of 2014, however Ceruzzi had acquired the site several months later, resulting in the current residential skyscraper. SLCE Architects is the architect of record, and the building comprises 253,222 square feet. 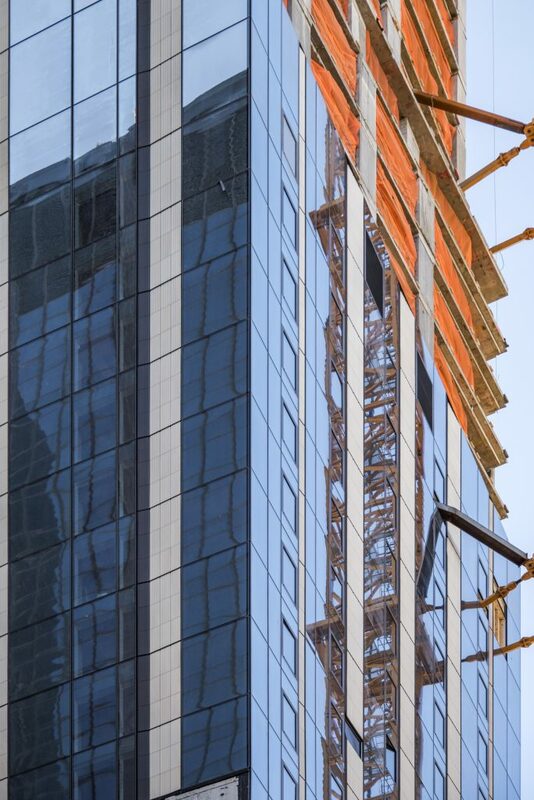 That includes a 4,588 square foot retail component that will help round out the tower’s contribution to the pedestrian sphere, while up above, 124 condominiums will average about 1,700 square feet apiece. While the tower stands 800 feet to its rooftop, the relative impact on the skyline is fairly minimal from locations outside the immediate vicinity, thanks to both surrounding density, and the skyscraper’s slenderness. However, the exterior will still be quite attractive, and the terra cotta paneling that will eventually cover its entirety is already making decent progress, alongside the glass. Completion is likely by the end of next year. 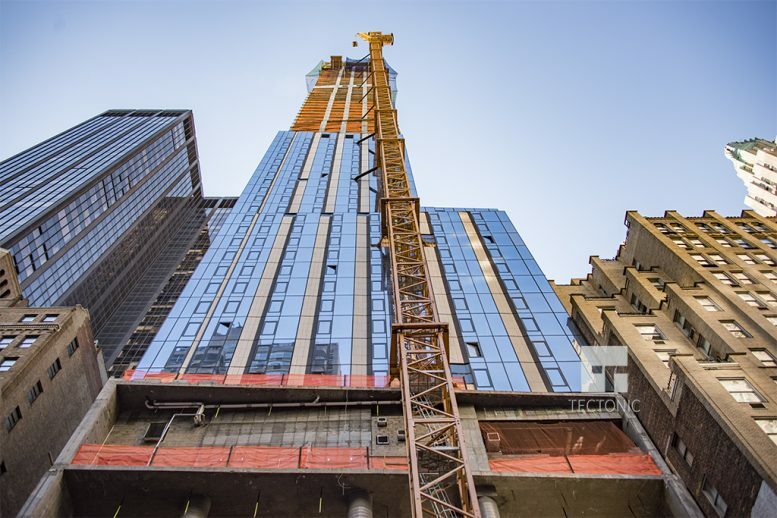 2 Comments on "Pelli Clarke Pelli-Designed 138 East 50th Street Tops Out at 800′, Midtown East"
Make you feel scary on developments? Comparing against the original plans … the elevation drawing was accurate but the rendering looks … idealized.